Streamlined, four-way stretch cycle jersey complete with mesh panels and a 1/2 centre front zip for ventilation. 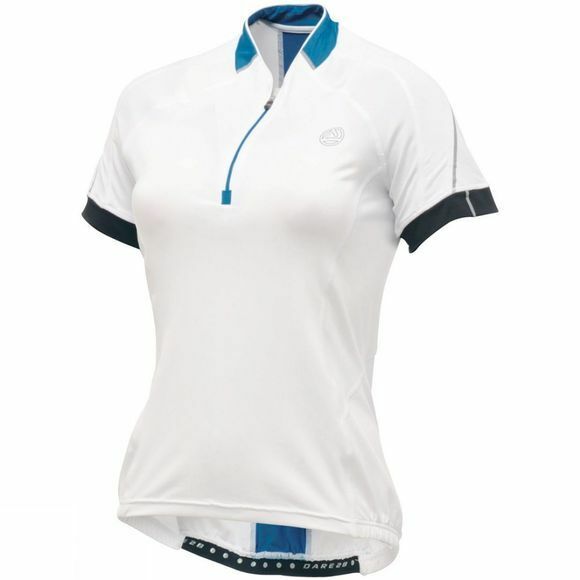 Boasting quick drying and superb wicking properties, the polyester blend fabric has a special anti-bac. finish to help keep you fresh on those long rides. The scooped rear hem is complemented with a 3 compartment pocket for stowing tubes, phones and mid-ride snacks.